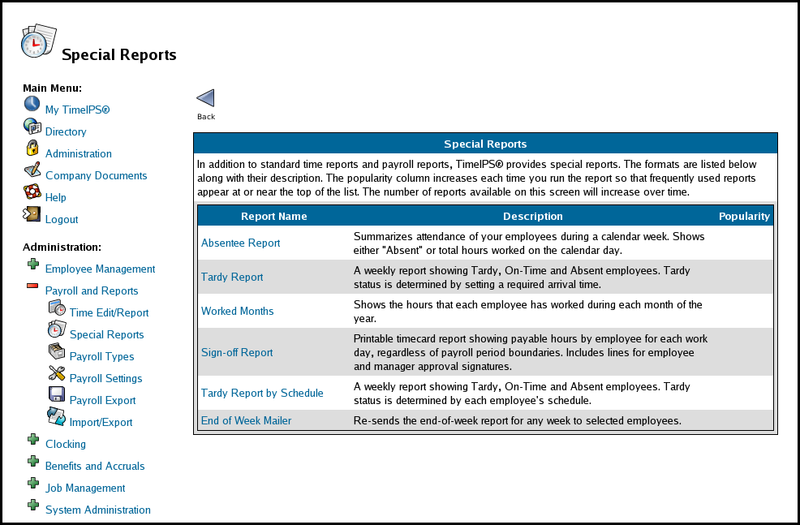 The TimeIPS Special Reports area includes reports to track trends and attendance. Click on the Report Name, Description, or Popularity header to sort the report list by your selection. Use the See Also links below for more information about each Special Report as well as other TimeIPS reports. NOTE: The "End of Week Mailer" is available beginning with TimeIPS version 1.4.